Wongaburra Research Centre is the main companion animal facility, with purpose-built facilities to house 120 dogs and 50 cats. It is located in the Northern Rivers region of NSW, to take advantage of the supply of paralysis ticks, which are essential for conducting paralysis tick efficacy studies. The facility also offers studies with animal related insects. Wongaburra Research Centre (WRC) is fully accredited by the Association for the Assessment & Accreditation of Laboratory Animal Care International (AAALAC), which indicates the highest standard of animal welfare in the world. Australian production animal research is located at the Armidale Research Centre to take advantage of the facilities at the University of New England, and surrounding rural infrastructure. ARC also hosts quality assurance management, archiving and the internal parasite laboratory, including diagnostic services. Both pen and field studies are available, either at the University or at Invetus’ research farm on Cluny Road. The Australian Pesticide and Veterinary Medicine Authority (APVMA) is relocating to Armidale, in purpose built facilities in the town centre. Co-located with Massey University, AgResearch Ltd and Plant & Food Ltd (Crown Research Institutes) in Palmerston North. These organisations provide Estendart Research Centre with access to unique resources, close support from expert academic and scientific staff plus an extensive array of animal research facilities for both food producing and companion animals. Jennersmead Farm is a purpose-built research farm constructed by Glaxo Animal Health in the 1960s. It is 18 ha divided into 16 small paddocks, well fenced and watered and with a number of supporting buildings plus water bore. It is regarded as integral to the conduct of Estendart’s business. Massey University Farms - Access to a variety of farms within only a few kilometres of our main office. There are two dairy farms, a sheep & beef farm, bull farm, chicken and pig facilities and a Deer Research unit. We also have access to the Post Mortem rooms, lab facilities, equine unit and surgery rooms. 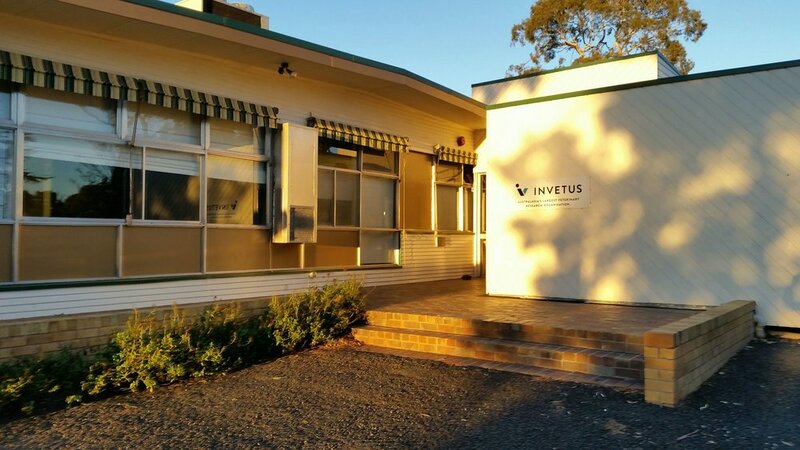 Invetus has significant clinical and field trial capabilities for companion animal studies through the Veterinary Research Network, and for production animals through the Armidale Research Centre.